This free Alison online course covers the skills and techniques needed to create your first website and is designed for novices who’ve always wanted to build a site but lack the skills or knowledge to do it. 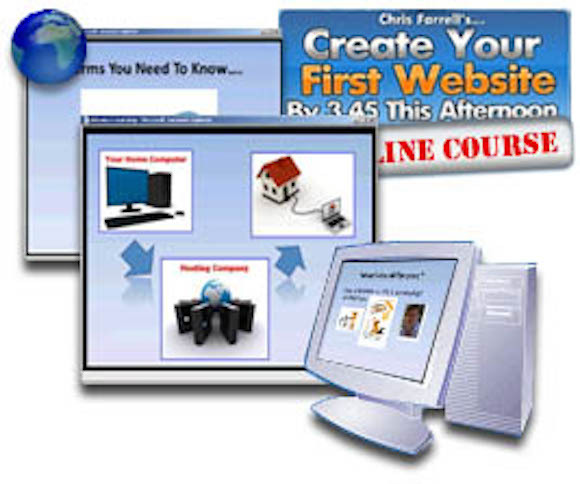 Chris Farrell, voted Number 1 Internet Marketing Service Provider, describes in a non-technical and step-by-step manner how to use software to create and format web pages, how to get a domain name and set up a hosting account, and how to make your website available online. via How to Create Your First Website.